After School Care is provided at Charnwood-Dunlop School through the Belconnen Community Service. 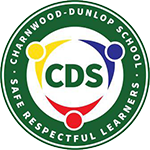 For further information contact the Charnwood-Dunlop After School Care Co-ordinator on 0408 449 173. After School Care operates Monday to Friday during school terms from 3.00 pm - 6.00 pm.